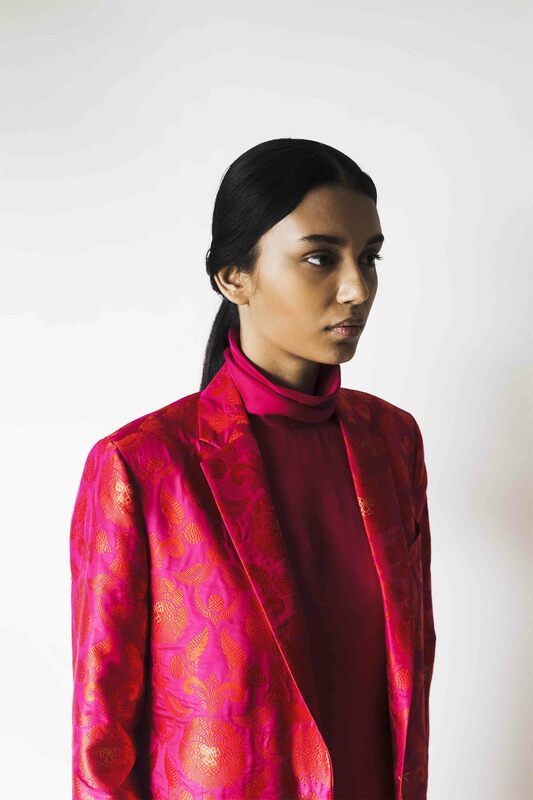 In the current wave of revivalist fashion, textile designer Kshitij Jalori’s fresh aesthetic stands out as he launches his eponymous label. 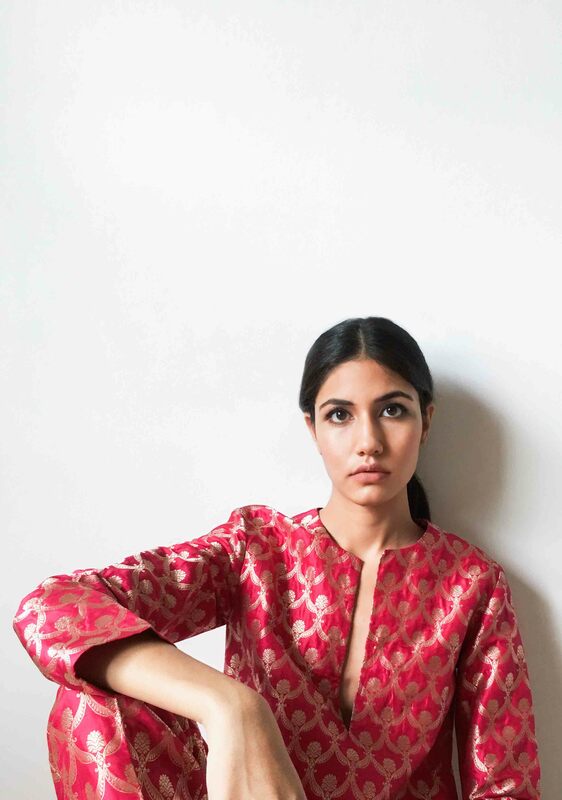 With an aim to marry art and design through fashion and produce it sustainably, he plans to reinvent the Indian weave and shake up the jaded opinions around it. 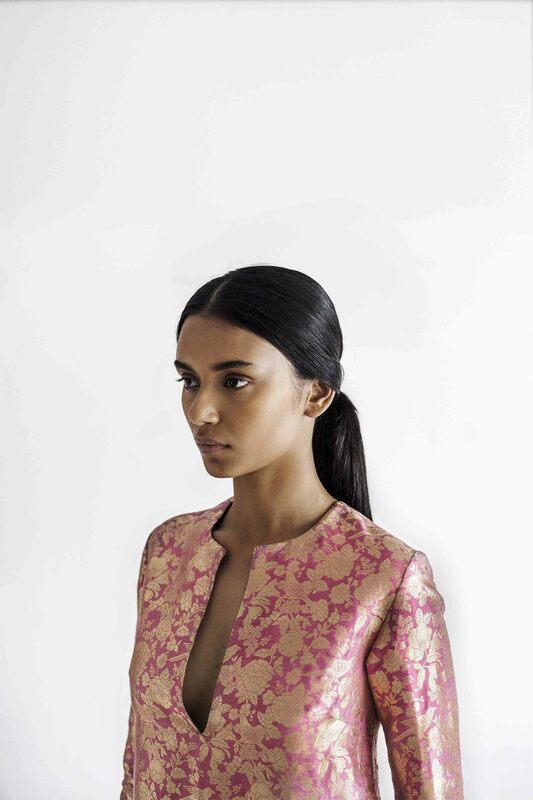 He’s cultivated a minimal yet sophisticated style while having worked with the likes of Sabyasachi, Péro and Shades of India, going on to open his eponymic design studio in 2016. As he unveils his label with a solo exhibition of his latest collections, we take an exclusive peek and uncover his design ideology. What draws you to Banarasi textiles? I am as drawn to the looms and weavers of Banaras as they have shown an inherent and almost instinctive adaptive nature towards design and techniques. What’s always inspired me is the cross-pollination of cultures, ideas and philosophies. It’s interesting to note that Banaras was not traditionally a silk weaving centre but a cotton one. Similarly the tanchoi weaving technique first came to Gujarat from China, and then made its way to Banaras. The holy city has always been a centre for creative adaptability and the loom is one of the most technically advanced in the world. 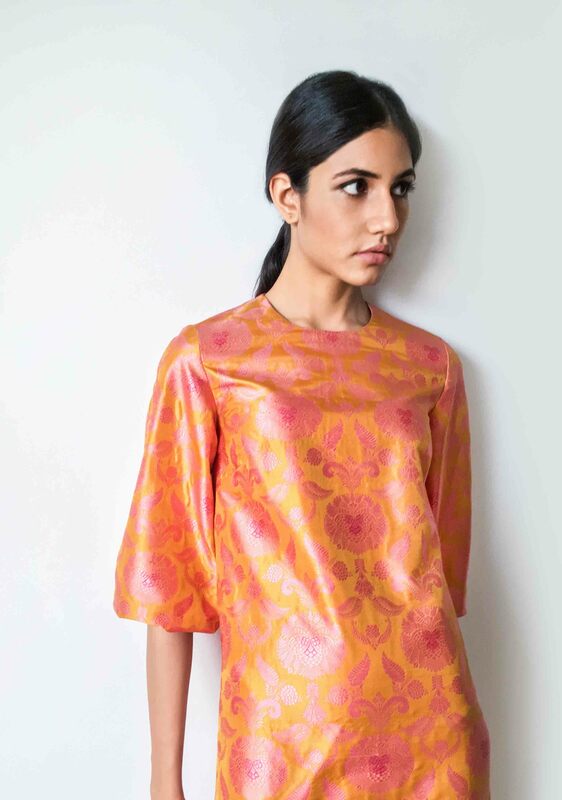 But, it is not just Banarasi textiles, that have caught my attention. I plan to work with other textile sectors as well, including Chikankari from Lucknow, Pashmina and Kani Shawls from Kashmir, Kanjeevarams from Kanchipuram, Phulkari from Punjab, Jamdani from Bengal. I want to develop a new library of motifs and ideas that could pave the way for further development of these textiles. The revival of traditional craftsmanship and techniques is a growing trend. How is your approach different? I’m not trying to revive anything because to revive something, it has to be lost or extinct. Our generation is still lucky that all that skill and heritage hasn’t been completely lost. What I am doing is trying to preserve the existing skill set and enhance it further. I am more of a ‘preservationist’ and this philosophy resonates in the initiative which we are launching under the Classic range of sarees and dupattas where each piece is sold with a buyback clause. After 8-10 years if a consumer feels that they want to discard a certain piece, I’m happy to buy it back at a percentage of the original price. 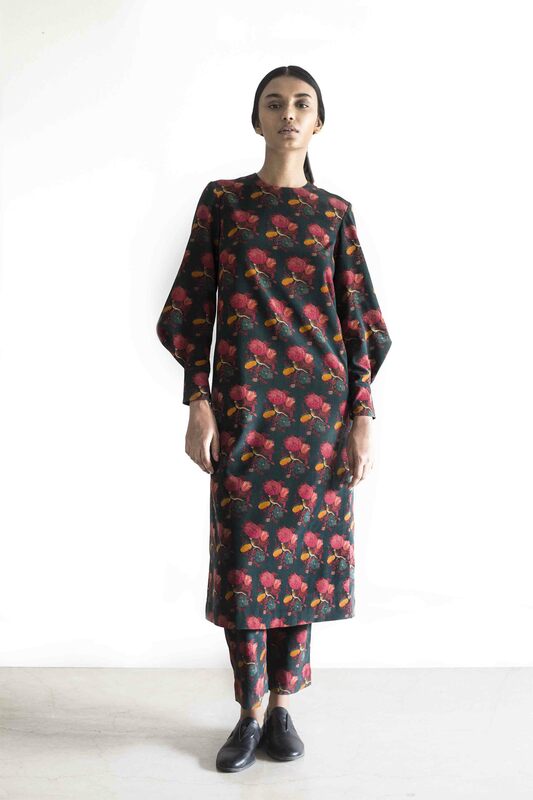 What’s a distinctive feature about each of the collections you’re showcasing -Coromandel Colony, Pakhi Badi and Gul Bulbul? Each collection focuses on a particular technique of weaving. Coromandel Colony and Pakhi Badi are essentially focussed on kadhwa and phekwa techniques in plain weaves, where patterning of the urtu weave has been extremely important while also developing mashru. Gul Bulbul on the other hand focuses on the tanchoi technique and development of satin and tissue fabrics. With each collection I try and incorporate a new weaving technique and further my use of textile fabrics since I feel that innovation in material is as important as innovation in design. Pakhi Badi is inspired by my time working in Kolkata, where I have pet parrots. They make curious pets and are extremely intelligent. Documenting their character was an important aspect of this collection. Gul Bulbul is actually inspired by the story of the bulbul’s fascination with gul (rose) thereby forming a divine union, a story repeated often in ancient Persian cultures. I also run a small art collective where I work with local artists to develop paintings and other art objects for my personal collection. Three of the artworks developed have been used in the garments. Your silhouettes are rather unconventional, what was your vision? I had a very interesting inspiration while developing silhouettes for these textiles. We have always seen traditional textiles being used for ethnic clothes, however, the idea of dressing up someone like Audrey Hepburn, Princess Niloufer, Nadira or Jackie Kennedy, or Lady Diana, were they to choose traditional textiles, is what I have translated into my clothes. What their interpretation would be and how they would style it. The idea is to give such textiles a very global appeal and vision, making them viable for not onlyweddings and receptions,but also at high street and other social events.